Blood will take on blood Friday night in Bartlesville, as a father and son coaching duo will meet once again. Copan-Wesleyan Christian suffered its first loss of the season this past week, as the Hornets and Mustangs fell at the hands of Summit Christian 34-20. The team was dealing with some injuries and some suspensions, which didn’t help against a little bit better competition. This week is a particularly interesting matchup, as Southwest Covenant comes to Bartlesville. Wesleyan Christian’s head coach, Curt Cloud’s son Trey is the head coach at Southwest Covenant. This sets up the third meeting between the two Clouds. Curt Cloud talks about the matchup. 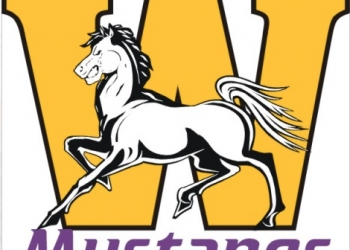 This game was originally scheduled to be the Mustang’s homecoming, but that has been postponed to later this season. It will be the second straight week that WCS hosts a game for the coop.